There is a huge market for human hair because of the growing need for extensions, wigs braids, and hair pieces. As the hair business continues to grow in popularity, as does the competition. With everyone breaking into the business, you need to stay ahead of the game. Here are a few tips that you will need if you want to flourish in the hair business. 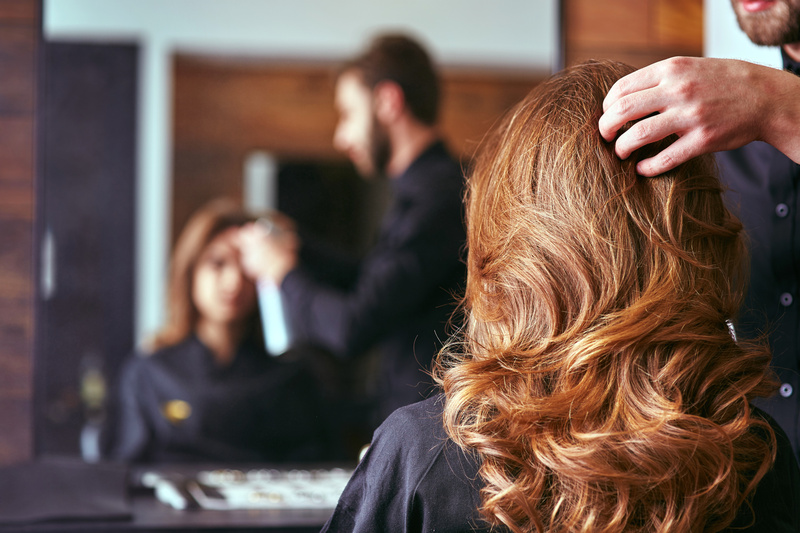 If you’re new to the hair business, you’re going to need a team of experts backing you up. You need someone to act as your partner to make sure you get all the products that you need to keep your business up and running. You need someone who is also going to get the product quickly. Do all your research to make sure you’re getting a reliable distributor. This may seem like no big deal, but it will bring you peace of mind. This is something you need because running a business can get stressful. You have your options here. You can open a little hole in the wall brick retail building, or become a flea-market vendor. Both of these work. If you don’t plan on opening a physical store, you’ll still need storage space. This storage space needs to be free of dust, dirt, and pet hair. You can rent out a warehouse, or use your closet, as long as you have the hair in an airtight container. Your hair can be hung up or laid flat. You just have to make sure it doesn’t get tangled together. As stated above, the hair business is very popular. It’s because of this, you need to offer your customers the proper incentive to keep them coming in. You need to provide a wide range of products because this is something basic that most providers give. Offer promotions and coupons for first-time buyers. This will create customer loyalty. You will make way more money off your hair business if you sell accessories and supplies along with the hair. Your customers will need a wide variety of things once they buy hair like bonding glue, hair razors, and weaving needles. Most people like to get all their things in the same place. If you offer supplies they need, they will just get them why they’re at your establishment. By not having these items, you’re missing out on profit. Repeat customers are your bread and butter. To nab these, offer promotions and discounts to hair professionals and cosmetology students. These clients can be very valuable even after you factor in their discount. The reason why they are such golden eggs is that they tend to spend way more on hair than the average individual. Be willing to give these customers around a 20-30 percent discount. Round this amount up or down depending on what the retail price in your area for hair is. This again will create customer loyalty which is something you desperately need if you want your hair business to thrive. People can be picky about the extensions they buy. Getting wigs and extensions can be costly after all. You need to learn what your customers look for when they buy hair. This is a big one. It’s hard to bring in customers if they have no idea who you are. You can do this in a few ways. You can do something fun like sponsoring a hair fashion show. People like going to fun events. You can go as extreme and fun with this as you want. You can donate the proceeds to a noble cause. This will give incentive for potential customers to buy tickets. A lot of people hear about company’s through word of mouth, but your company won’t expand from that alone. You need a website to get things really going. You want to allow customers to browse through your projects and even shop them online. This will let you reach out to international customers. Create a social media account and a blog that give wig styling tips. Donations will help you reach out to the humanity in your customers. Donating hair to those who have lost theirs due to cancer and alopecia will give you a sense of satisfaction, and will also get you some media coverage. Drop shipping is a process where a company holds product and then ships it out on your behalf to the customer. This process is actually a great way to save money. You won’t have to sink a lot of money into buying a bunch of inventory or paying for storage space. Having a reliable company do this for you makes starting your business a reality without any headaches. It’s a very easy process. You order your packaging and products at a wholesale price of Dropship Bundles and then get the products drop shipped to your clients as the orders come in. See how easy it is to learn how to sell hair? There are a lot of steps you have to take in consideration when starting to build your hair business. You need to find a venue, find out where you’re going to keep your hair and create customer loyalty. Only by doing this will you be able to really step above your competition. Before you start selling your product, you need to know everything about hair extensions. For that, our blog has you covered.